I LOVE retirement! It’s exponentially better than I imagined. (please don’t hate me!) I have time to knit AND spin every day. My colorful “seusical” socks are almost done. Just need to knit the last heel and weave in all the ends. The drawback to contrast cuffs, heels and toes is that there are a lot of ends to weave it. The socks are so great looking it’s so worth it. 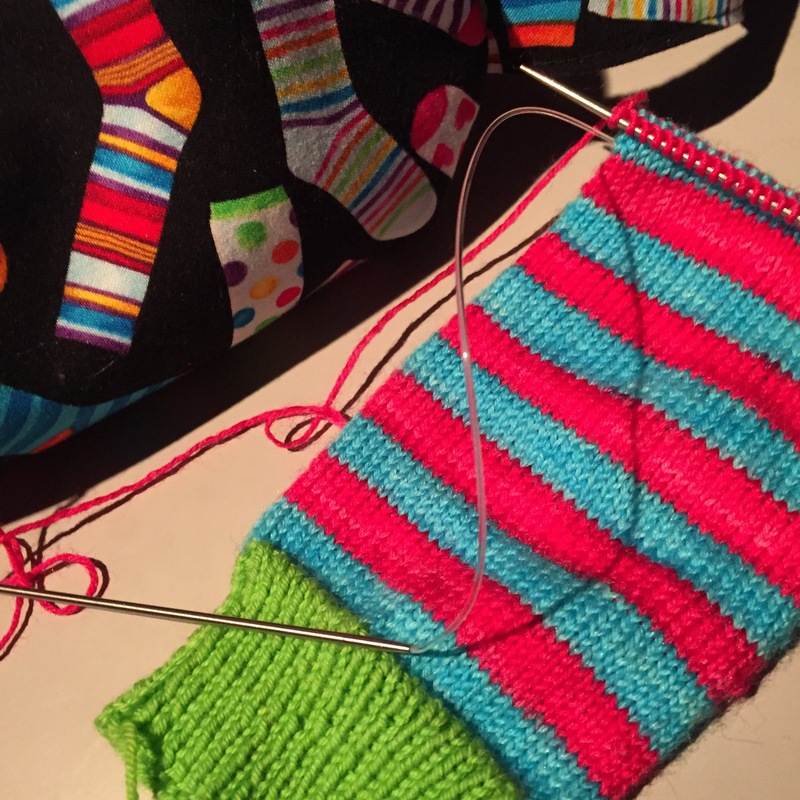 Yesterday I decided to start working on my Monkey Socks again. Tried the sock that was one-third done on and it’s baggy. So… its been frogged. I should have done this ages ago, especially since I’m sure my tension has changed since I worked on it. Yarn has taken a bath to get out the kinks and is drying. I think the yarn and pattern were a good match so I may reknit it. Note to self: Finish or Frog!!!! Picked up Nuvem again. More lace weight yarn; this time it’s Madeline Tosh Prairie which is a singles yarn. Love it. It’s going to take forever. I think I’m about 20% done. I’m afraid to weigh the ball and find out it’s a lot less. Also making great progress on my Poppy Boxy. I’m seaming the front and back together. I (foolishly?) decided to seam the shoulders as well as the sides. I’m just over half done. 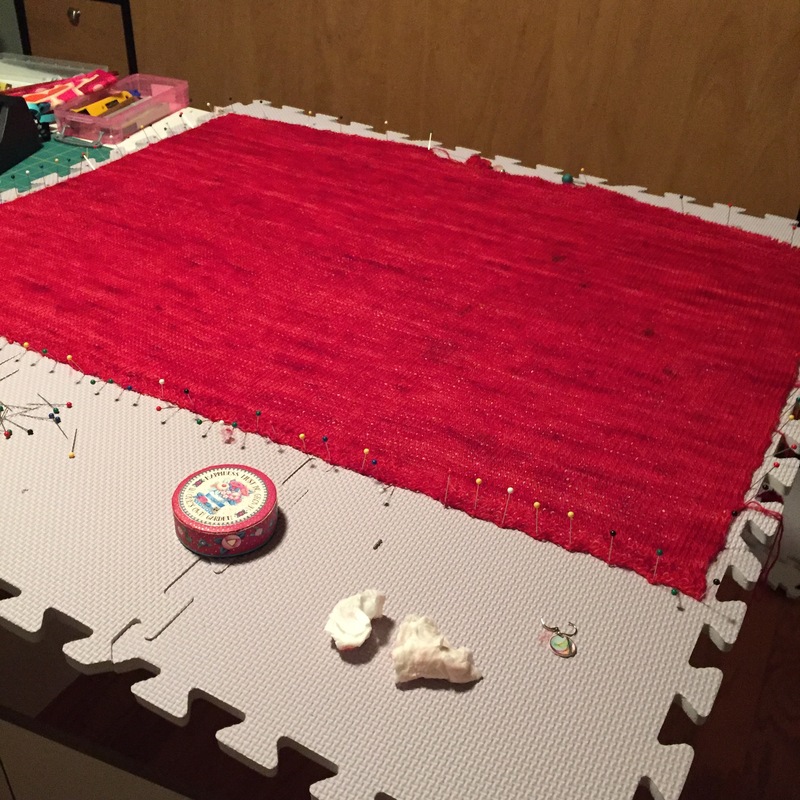 In order to seam the pieces, I blocked them. 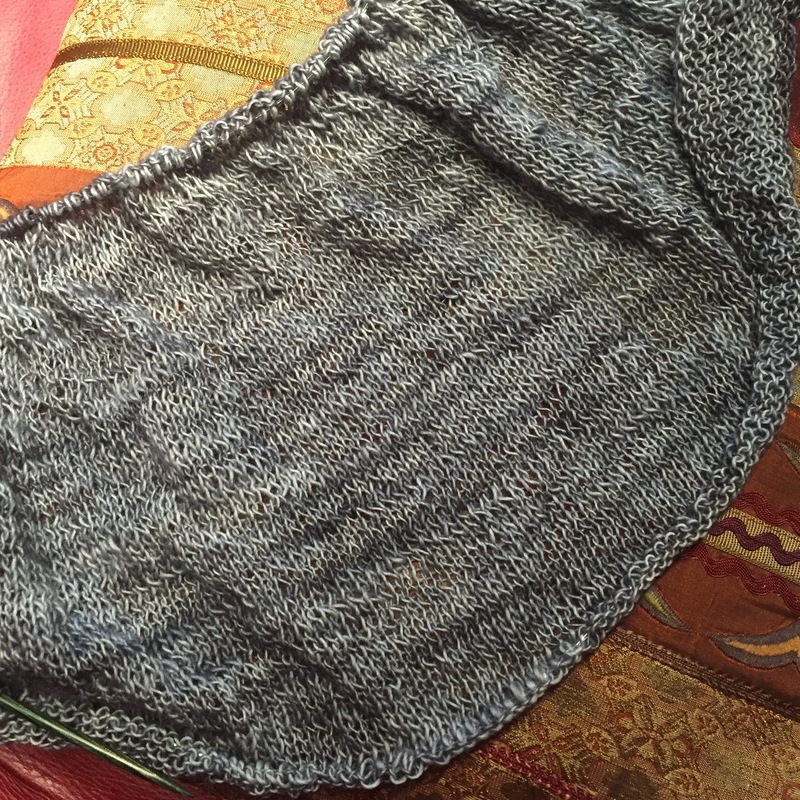 I was in such a rush to block the back, I forgot to take the row progress markers off. The cute little black sheep bled a little and I’ve got a few spots. 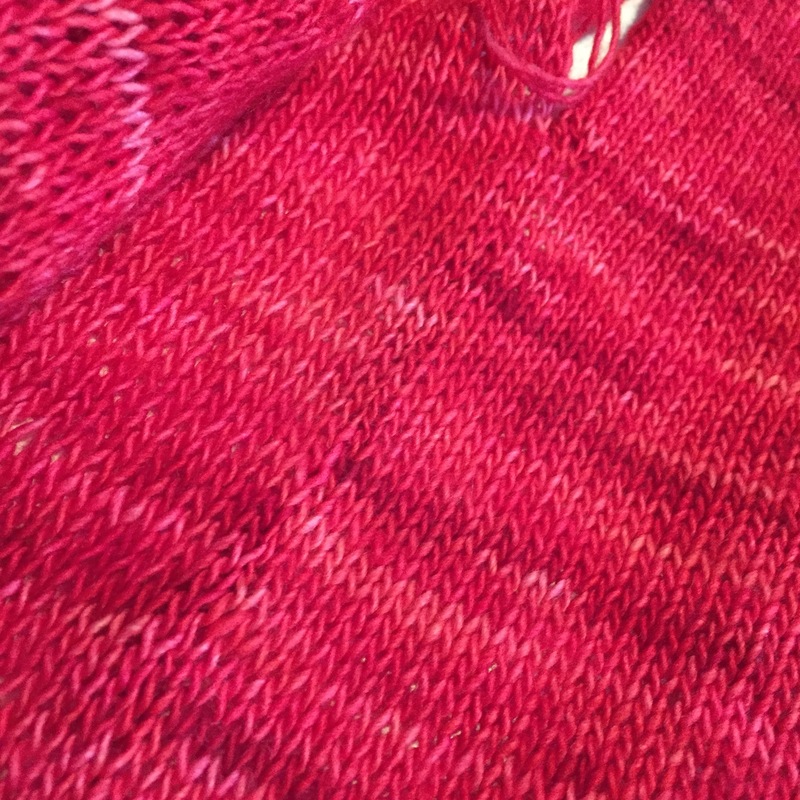 It it doesn’t come out when I block the finished sweater, I’ll duplicate stitch over the spots to hide them. Blocking the back piece. See the dark spots? ?